Honda has released the first details about the JDM-spec Odyssey. Set to go on sale this fall, the redesigned model has an evolutionary design with a prominent grille, sweptback headlights and a shorter hood. We can also see gently flowing surfaces, a tailgate-mounted spoiler and distinctive taillights. The upscale styling carries over to the cabin as the model has wood trim, metallic accents and an infotainment system. Higher-end variants can even be equipped with reclining second row seats that have an integrated footrest. Little else is known about the model but Honda says it rides on a revised platform and that has "ultra low floor" which contributes to the "spacious and comfortable" cabin. There's no word on specifications but the company said we can expect a "high level of driving performance" thanks to "powerful and fuel-efficient" engines. Toyota has announced the introduction of the i-Road personal mobility concept to the “Ha:mo” urban transport system trials. The concept, which made its world debut at 2012 Geneva motor show, will be used alongside existing Toyota COMS personal mobility vehicles from early 2014. “Ha:mo” is an urban transport system designed to combine all forms of public and private transport with the aim of improving traffic flow and minimising emissions. The system uses electric vehicle car sharing and traffic routing information to ensure the most appropriate form of transportation is used by travellers. Number of COMS electric vehicles increased from 10 to 100 in October. All COMS vehicles will be fitted with keyless operation. Number of Yamaha PAS power-assisted bicycles increased from 10 to 100 in October. Users will be able to rent and return vehicles at 17 new locations from October, an increase from the four currently in operation. These stations will be conveniently located near main train stations and major public facilities. From October 1, a fee system will be introduced to the commercial feasibility of the sharing service. Fees will start at 200 yen (around £1.30) for the first 10 minutes and 20 yen (around £0.13) per minute thereafter. WAKO, Japan -- Japan's killer earthquake-tsunami double punch slammed the country in 2011, knocking out Honda's operations -- and those of its domestic rivals -- for months. But the disaster carried a silver lining for Honda that has radically transformed its design department -- for the better. Refugee engineers from Honda's tremor-trashed r&d center in the quake zone initially had no place to work. So they bivouacked to Honda's design and styling studio just outside of Tokyo. And what happened next stunned insiders, recalls Yoshinori Asahi, global head of interior design for Honda and Acura. Working elbow to elbow, engineers no longer shot down stylists' ambitious designs with a dismissive e-mail. And designers more willingly dialed back fantastical drawings after receiving a face-to-face dose of reality from more grounded engineers. Both sides riffed off each other so well that Honda permanently transferred dozens of engineers to the global design center last spring. Their arrival is crucial as Honda rolls out a new design language to revitalize the brand. "Before, engineers saw the designs and said 'So, this is what you want, eh?'" Asahi said. "Now they say, 'We can't say no.'" Honda says the overhaul is not only speeding design work but delivering more practical designs that are more cutting-edge, because both sides are more vested in creating something good. The stakes are high because Honda is introducing the new design language with the third-generation Fit small car that went on sale in September in Japan. Dubbed Exciting H Design, it's aimed at returning Honda to its sporty roots. "We have lost a bit of our sportiness while retaining good functionality," said Toshinobu Minami, global director for exterior design at the carmaker's two brands. "First, we want sportiness. The thing I want most is to recover our uniqueness." The design overhaul of Honda's product range targets both exterior styling -- long criticized for ho-hum looks -- and the interior, which was panned as cheap and plasticky in the debut of the latest Civic sedan. Keywords of the philosophy: High Touch, High Tech and High Tension. Minami and Asahi adopted the English terms -- used even in Japan -- for a common language that could be easily grasped in Honda's far-flung design studios in America, Europe and Asia. High Touch refers to quality surface treatments and the use of top-grade materials, an obvious rebut to the Civic critics. High Tension denotes a more muscular stance and a more engaging cockpit. High Tech is realized through the extensive use of touchpad controls on the center stack. Meanwhile, Minami's new formula for a front look, dubbed Solid Wing Face, blends the grille into the headlamps, creating a more futuristic look. "Face is important," Minami said. "But this is a new phase. This time, Honda's new face integrates the grille and headlights into one. It's a new era." What Honda's design duo doesn't want is a new look just to be new. New can quickly become old. "We used to debate the meaning of new, what is the value of new. But it's not about old and new," Asahi says. "It has to be stimulating and emotional." A better, more exciting stance is critical, Minami says. Consider the third-generation Fit. It has a much more athletic, chiseled look than the outgoing Fit, which is bubble-shaped. And while both are the same width and height, the new model has a more low-slung stance. Minami says he achieved this by twisting the car along the sharply creased character line to push the rear wheels out and pinch the rear cabin inward. The line's sudden downward bend toward the front wheels lends the feeling of a lower front end. From the front, Minami tries to accentuate a broader tread by spacing fog light cowls low and wide near the corners. Though presented as air intake vents, they are actually dummies that are sealed shut. That is to improve aerodynamics. In fact, the lower mesh grille below the H badge is also part dummy, with about half the mesh openings actually closed. Improving aerodynamics is another big focus. Minami said the latest Fit achieves a big improvement in drag reduction over the outgoing model, though Honda declines to give specific figures. • Taillamps wrap around the edge of the hatchback. They get a razor-cleaved rim to make a clean break with the wind, but because they are transparent plastic, they mitigate a boxy look. • An all-new platform was designed to keep the car's undercarriage flat by raising bumps and bulges such as the oil pan. • The A-pillars get special ridges to maximize air flow. The ridges are then integrated into the overall design through creases that stretch down each side of the hood. Watch for those tricks, as well as the rest of the Exciting H package, to be deployed across the Honda line. Next up: A Fit-based small crossover that will debut at November's Tokyo Motor Show and go on sale in Japan this year. A concept version, the Urban SUV Concept, was shown at the Detroit auto show last January. That car, which gets many of the Fit's styling cues, is very close to the production version, Minami said. A Fit-based subcompact sedan will follow the crossover. Involving engineers early in the design process is key. Before, the creative types at the design studio would start a design by dashing off dozens of sketches drawn from the farthest frontiers of their imaginations, Asahi says. Yet, less attention was paid to whether such designs were realistic. What raw materials are needed? How will it be manufactured? Does a flashy dash panel actually accommodate the air conditioning offered by suppliers? Does the center console sufficiently house the audio display? "As you do the feasibility studies, the design starts looking worse," Asahi said. If you don't start with the big picture, one small miscalculation can throw off the whole package. Now designers start from materials and functions, and they draw ideas to fit those realities. "It's a big mind change," Asahi said. Stationing engineers inside the design center to consult earlier in the development cycle helps streamline the process. While it injects a dose or reality for the designers, it also pressures the engineers to try harder to realize more avant-garde ideas. "A good mix is necessary," Asahi said. Indeed, last October, the design studio opened the 01 Lounge as a kind of creative retreat for engineers and designers. There, they chill out on couches, sip cappuccinos or pluck a guitar as they banter back and forth to fire their neurons and find inspiration for that leap from nothingness to an initial idea, the first step in Honda's 10-stage march to a fixed design. "Once the factory people start working closely with designers, they become more motivated to actually help bring those designs to life," Asahi said. "It's a very powerful support for us." Lexus has released some new details about the 2014 IS F.
Based on the previous-generation model, the 2014 IS F is distinguished by LED fog lights and a new carbon fiber rear spoiler. The cabin also receives some minor upgrades including "F" embossed headrests and black Alcantara trim on the doors and center console. Customers can also order black semi-aniline leather seats or red leather seats with black Alcantara inserts. As before, power is provided by a 5.0-liter V8 engine that develops 416 bhp (310 kW) and 371 lb-ft (502 Nm) of torque. It is connected to an eight-speed Sport Direct-Shift automatic transmission which enables the 3780 lb (1714 kg) sedan to accelerate from 0-60 mph in 4.6 seconds and hit an electronically-limited top speed of 170 mph (273 km/h). The 2014 Lexus IS F will go on sale shortly and U.S. pricing starts at $63,350 (excluding a $910 destination and handling fee). We have Japanese used car models that are listed in Al-Ain website with its used car name, used car stock number, used car specification, used car FOB price and complete view of the used car in our site. We believe that Japan is the best place to buy used cars mainly because cars in Japan are very carefully maintained and Japanese roads are one of the best in the world.Considering these facts, we can safely assume appreciate the popularity of Japanese used cars as they are economical and an obvious value for money and high quality.The Japanese Government has a very strict car safety system which increases the cost of ownership over time. Any car over five or six years old becomes very expensive to test and service so drivers prefer to buy new cars and put the old one up for auction. Al Ain japan gives a full support to the customer. We contact for any special offers. We may contact by post, mail, telephone for further business proposals. We have certain terms and conditions and privacy policies. Advance payment must be paid before shipment, full amount to be settled once the Car reached your destination. BMW, the German automaker has officially revealed the engine specifications of the upcoming M3 and all-new M4. Both the vehicles will be powered by the same high-revving six-cylinder in-line engine with BMW M Twin-power Turbo technology. The six-cylinder in-line engine with BMW M Twin-power Turbo technology is newly developed for the new BMW M3 Sedan and BMW M4 Coupe, that churns out maximum output power of about 430bhp. Its peak torque soars far beyond 500 Newton metres (369 lb-ft), outstripping the figures recorded by the outgoing BMW M3 by well over 30 per cent. And yet the engine also achieves a reduction in fuel consumption and emissions of around 25 per cent. The weight of the cars has been reduced to just under 1,500 kilograms, which helps to ensure outstanding driving dynamics and exceptional efficiency. Al Ain japan t gives a full support to the customer. We contact for any special offers. We may contact by post, mail, telephone for further business proposals. We have certain terms and conditions and privacy policies. Advance payment must be paid before shipment, full amount to be settled once the Car reached your destination. The Nissan Xterra has been on the market for nearly a decade without significant improvements and a new report is indicating it faces an uncertain future. According to Al Ain Japan, Nissan will decide to replace or kill the Xterra later this year. Unfortunately, the outlook doesn't seem promising as Nissan Americas' vice president of Product Planning, Pierre Loing, said "The most difficult part is it is U.S.-only, so even if the volume in the U.S. is good, you need to make friends around the globe to get the resources." Despite the grim outlook, Loing said "There are plans to replace it, there are always plans, [but] I am not sure it will happen." He added that the company only sold about 17,200 Xterras in the United States last year which down from 88,578 Xterras in 2000. According to a recent report, Mercedes was considering rebadged versions of the Nissan Titan and Frontier. The models were inspired by the success of the Volkswagen Amarok and were scheduled to be launched by the end of 2016. While the models would have been heavily influenced by their Japanese counterparts, the Mercedes variants were slated to receive new fascias, a unique interior and a retuned suspension. Despite some early development work, the models were reportedly axed because the Mercedes variants would only be available with a limited range of engines. Sources also told the publication that Mercedes wanted the Frontier to accommodate hybrid and plug-in hybrid powertrains but these weren't in Nissan's plans. While the Mercedes trucks have been put on ice, an unnamed Infiniti official told the magazine they could offer their own luxury pickup. A prototype of the Lexus GS F has been caught testing on the Nürburgring in Germany once again by our spy photographers. We are certain you won't mind yet another batch of spy photos with the Lexus GS F which is expected to be slightly lighter and considerably more powerful than the regular GS. Sporting a more aggressive wide body kit, the GS F will come with several carbon fiber parts, larger alloys and a quad exhaust setup. Also part of the package will be a sport-tuned suspension and high-performance brakes to match the additional power. Speaking of power, under the hood the car will allegedly feature a V8 5.0-liter outputting somewhere in the region of 465 HP (342 kW). However, some reports are indicating this engine could be dropped since it doesn't meet the Euro 6 emission standards. We'll know for sure sometime next year when Lexus plans on revealing the GS F.
Nissan will preview the 370Z replacement at next month's Tokyo Motor Show with a brand new concept. This piece of information was disclosed by Nissan's development boss Andy Palmer who also said the car will be "smaller and lighter" but without losing power compared to the 370Z. Chances are motivation will come from a smaller turbocharged engine, but we won't be surprised if the concept will use an electric drivetrain. The production version on the other hand will use a gasoline mill once it goes official in the next couple of years. An August 2012 report indicated the 370Z replacement is going to use a powerful four-cylinder turbocharged gasoline engine installed in a smaller and lighter car wrapped around in a more attractive body. Despite the downsized engine, the 370Z successor will allegedly have just about the same level of performance as the current V6-powered model. Andy Palmer told during this year's Frankfurt Motor Show that Nissan will later on launch a high-performance version developed by Nismo "to ensure it could compete in the market it's already in." He went on to say he already drove the car and it's "enjoyable and energizing." Also at Tokyo Motor Show in November, Nissan might reveal a sub-370Z model which could turn out to be a production variant of the 2011 Esflow concept with either a gasoline-electric hybrid setup or an all-electric arrangement. Details are limited but Alain Japan is reporting the company is developing an all-new CR-Z that will be underpinned by the Civic Type R's platform. The publication goes on to say that a prototype has already been built and it rides on a short-wheelbase version of the Type R's architecture. While Honda recently confirmed the Civic Type R will feature a turbocharged 2.0-liter petrol engine, the CR-Z is expected use a turbocharged 1.5-liter petrol engine and an updated hybrid system for a combined maximum output of 224 HP (165kW). 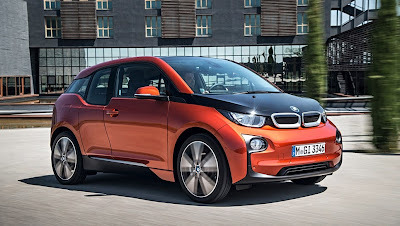 For comparison, the current model has a combined output of just 137 HP (101 kW) and 190 Nm (140 lb-ft) of torque. If everything pans out, the new CR-Z could be introduced in 2016. Best Car Deals from Japanese Car Exporters Al ain japan !! HOW CAN WE NEGOTIATE A DEAL WITH CAR DEALER ?? Always start with the price you have in your mind. Never even allow the dealer to make the price decisions. Whatever your reason for bargaining, this section is designed to provide you with important information about when and how to use the art of negotiation to your advantage. Before starting the process does not initiate argument for the cars you never wanted to buy. It also helps to do your homework ahead of time. 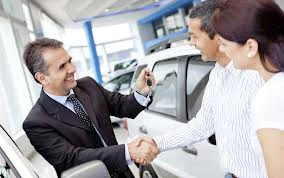 Once you've examined the marketplace to determine what similar vehicles with similar features are selling for in that marketplace, you should have a clear understanding about the vehicles current value based on its year, make, model, trim level, condition, and mileage and market desirability. Remember to keep in mind your budget and your price limitations when you enter into the negotiation process and be firm about those limitations. Most dealers understand that negotiation is a large part of the automotive purchasing process and expect the buyer to adopt some type of bargaining tactics before signing on the dotted line. Start by making a low offer. Most of the car dealers will start with the high bidding price never allow that start your price bidding before they start. Fix the price that is more or less adoptable to your ceiling price. After the whole process goes well be patient check the vehicle with professional help. Remember, be firm about your price limitations and don’t forget to be realistic about your budget. Only you know how much you can afford to spend. You can surely get the Gold out of a scrap and the Dream vehicle you always thought. The Toyota Noah has a brother that goes by Toyota Voxy both are MPVs (multi-purpose vehicle) meaning The Toyota Noah is bigger than a sedan or hatchback and has the ability to carry many passengers or can remove a row of seating for more cargo space. Models of the Toyota Noah come with: 5 doors which are regular driver and passenger doors, two sliding back doors, and a rear door that opens upwards; a 4 cylinder gas engine that has four valves per cylinder making a total of 16 valves with roughly two liters of displacement and a compression ratio of 10.5 to 1; front wheel drive; an intelligent parking assist program that can parallel park and reverse park; hidden cargo compartment under the floor in the back; and a rotating multi-use seat. There are options to the Toyota Noah when it comes to the seats with eight seats which is three rows being the front driver and passenger seats then second and third row bench seats, seven seats three rows with two rows bucket seats and a third row with a bench seat, or five seats with the driver and passenger seats in front and a bench seat in the back;transmission meaning some models come in automatic and others come in manual; and there is the option of four wheel drive. Along with clever cargo space and plenty of room for passengers the Toyota Noah gets roughly 10.6 km/l. 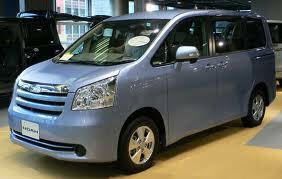 The Toyota Noah can reach highway speeds (100 km/h) in less than 10 seconds and has a top speed of 175 km/h (~108 mph). Some other specs of the Toyota Noah include the wheelbase (distance from front tires to back) of 2,825 mm, a length (exterior front point to exterior back) of 4,580-4,625 mm, a width (exterior side to side at widest point) of 1,695 mm, a height (ground to highest point of car) of 1,850 mm,additionally the Toyota Noah’s turning radius (amount of space required to perform a U-turn) is just 5.5 meters. Ever thought of changing your car and get in to the new trend. This will be the best time to do it. Resale values for the used car have been dropping and increasing year by year. Many of us think that our car will not be given to the worth but times are changing nowadays used car resale has hit another new dimension through online car selling portals. 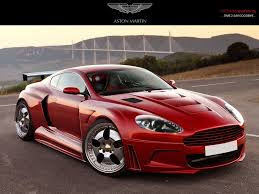 Now comparatively used cars having the market so as the new cars and well known demand for many branded vehicles, Each and every penny we earn must be really used in an efficient way. 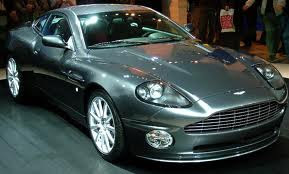 Do you have a great amount of confusion of which way you should follow to buy the cars. Wait first decide whether it’s a used one or new car. After that there are many estimation website s I don’t want to name them just google it you will find easily. They will determine the selling price of each and every vehicle whether you sell or buy. Checking the auto insurance before buying will ensure that everything going fine. Make sure that all the necessary documents are clearly available. In case of the used cars they are splitting it up and grading it accordingly with condition of cars available. If the cars have all the necessary documents and condition is good it will have the better grade and will accordingly decrease or increase if minor repairs or documents missing. It will be better to check the rating of the car before you buys or sell. an added advantage of buying the used cars were it will be cost and coverage will be generally lower compared to new ones. If we select the correct portals we will end up in getting the best car. Before deciding the model make an analysis on the car model you actually looking for to buy. Styling, engine power, mileage, seating capacity, space etc. also decide it on which purpose you will use whether you will use it for mountain climbing, rough drive etc. Be little choice instead of going for a big search first fix the amount and then select two or three models which you will be easy to finalize. Comparison has to be done within those models based on brand and efficiency. Daily journals and magazines classifieds, Internet adds will make you to redirect to the people who regularly resale cars. This will make a better bargain for sure while buying cars like you will end up in buying the fruit you always wanted. While buying from a particular seller precaution measures have to be taken to avoid theft and fraud. Measures like test driving the cars at day time in public places and make sure not to carry large amount of cash. Double checking the vehicle information before making a deal also helps. Websites like Craigslist and eBay are also good places to find cars but we should also be careful to avoid scams involving transfer pin id entry. Some unknown car dealers have forged the transfers and cars have not delivered. But these kinds of trusted websites making sure and trying their level best to filter all the unavoidable scams. If you have all these in mind your selection won’t go wrong and the worth of the car you are buying will always be good. 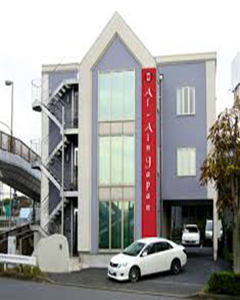 Get the Best from Japanese Used Car Dealers Al ain Japan !! Nowadays with the booming internet and vast marketing strategies selling and buying things online or through third party dealers became a simple thing. But are we getting the worth we are really expecting will be a big question mark. Because each and everything we buy online will be differing from products. Used auto products or used cars buying will be different you need to verify a lot of things before selection. Thousand of dealersacross the world are selling their products on cars or used automobiles through magazines, business journals and television adds etc. you have to analyze the best trader of them. Compare the reviews ratings of the particular dealer and make dealership options with them. Additionally, you must find the wealth of used car inventory by visiting dealerships in person. Most new car retailers across the world sell new cars too and there are a variety of independent used car lots that offer a broad range of good-quality, pre-owned cars. With the technologies everyone having nowadays smart phones and digital Medias are part of people. Downloading or purchasing the worthier application will help you own the Diamond out of pebbles. Once you are finalized with the used car dealer it’s time to choose your ceiling price with the car you are planning to buy. To start with, you need to research the cars retail value by inputting the make, model, year, options and mileage information at Used Car Information Center. This information is the fundamental foundation for the car selection. Once you are clear with the make, model, year, options and mileage data, you'll be provided with a value report that includes all the necessary details of the cars mileage, Condition , Owners details etc. Older used cars are provided with three values low, average and high retail. A low retail vehicle may be in the worst condition where you likely to see all the damages, the vehicle should be able to pass local inspection standards and be in safe running condition. Price will be a dead meat and worthless. An Average Retail vehicle should be clean and without glaring defects. Tires and glass should be in good condition. You can get a decent mileage and a good usage. Price will be a like ham. No loss no profit on repairing the cars. A high retail vehicle should be in a good condition and run smoothly. Mostly good analysis and research will get you this kind of cars. Price will be a Delicious meal and Profitable without any additional car services. Mindset should also focus on the resale values. Because keeping the vehicle for decades will not be a good option. In order to determine the marketability of the car you want to buy, you need to do a little homework. A great place to start is with resources like Cartradesoft Software. With this software you can easily research the profits and pitfalls of the car you planned to buy. End result you are finally getting closer to a realistic market value for your own used car. Remember that while certain aftermarket accessories and vehicle customization can certainly increase a cars value, they might also deter certain prospective buyers, ultimately decreasing its value in the process. Always start with the price you have in your mind. Never even allow the dealer to make the price decisions. Whatever your reason for bargaining, this section is designed to provide you with important information about when and how to use the art of negotiation to your advantage.Once you've examined the marketplace to determine what similar vehicles with similar features are selling for in that marketplace, you should have a clear understanding about the vehicles current value based on its year, make, model, trim level, condition, and mileage and market desirability. Remember to keep in mind your budget and your price limitations when you enter into the negotiation process and be firm about those limitations. Most dealers understand that negotiation is a large part of the automotive purchasing process and expect the buyer to adopt some type of bargaining tactics before signing on the dotted line. Start by making a low offer. Most of the car dealers will start with the high bidding price never allow that start your price bidding before they start. Fix the price that is more or less adoptable to your ceiling price. 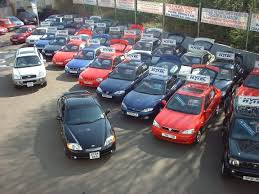 A used car selection will always be a very difficult task to choose than opting for a new car. The term itself defines “Used” it has been handled by some other person with their mentality. Adapting can be the word perfectly matches the used car buying. Before we buy the car we must thoroughly check the car features with the specialized mechanic or car technician. But the car will be owned by yourself so the necessary things you should know about the interior and exterior of the cars will be discussed. Stand in the front look all sides and look down at each side to see if the car is sitting straight. If you notice scratches or rippling areas, uneven lines, uneven body moldings or crooked trim pieces, the car may have had body work at some point. Be sure to look at the openings around the doors, hood and trunk to see if the space around the openings is uniform in size. If you find fresh new rust paint it could be a work to hide the true worth of the car. Light is the essence of car driving so start the car switch on the light change it to high beam and low beam modes. It’s better if one person watches it from outside while light checking. Apply breaks and indicators to get a better view of the car lights. A tail light, Break lights, indicators has to be checked. Night time will be more preferable for lights. Doors should open and close smoothly without any disturbances. Also the mirrors should slide in a smooth way. If doors are re adjusted it might be a chance they have altered the car after the accident. Make a drive see its completely air proof or sound proof to prevent the dust entering to the interior. Shock observers are the spring structures which pushes the car bumper up and down until the vehicle starts to bounce. Old cars have four shock observers each located in each of the wheels. If the vehicle continues to bounce more than twice it may be the indication shock observers needed to be replaced. Modern cars have strut canister in the wheel and check if any leakages available. If you found try to replace it. Panels should be tight and straight if not it might be an indication that the car has been driven on the rough terrains. Check for rust if you found any rust formation on the panel do change the panel. Tires have to be checked thoroughly with the tread depth test or Penny test and if found any damages have to be replaced. Windows are also a costly replacement, so carefully examine them for cracks or serious scratches as well. And be sure the windows operate smoothly. Open and close those several times to be sure they don't stick or grind while operating and make sure they open and close all the way. Analyzing the car interior also a great deal for the buying the used cars. Check for stains, excessive wear and tear, cigarette burns or rips and tears. Because replacing car interior will be an expensive one. So, be sure you examine these components carefully to avoid additional costs. Check the comfort zone inside the car because driver seat and other seat adjustments make the car interior a hard one. Check Air conditioning system, heater, fuel-door releases, wiper and washer systems, rear defoggers, visor vanity lights etc. If the battery cables appear corroded or coated with a white powdery substance it's not a sealed battery, remove the caps and check the fluid levels (always be sure to wear eye protection during this part of the inspection). If they're low, the battery probably needs to be replaced as well. A new battery is not a huge expense, but if you need to replace one, it's an expense nonetheless. Take a look under the hood and examine the engine under cool condition a clean-looking motor is great. What could be problematic, however, are fresh signs of shiny oil or other wet spots on the engine indicating an oil or fluid leak. Checking all the issues will clarify the Cary buying strategies and if you master the skills of selecting the cars. You sure will own the best car of your life time.